STEUER TRADITIONAL reeds are designed around a profile combining fine reed-tip with a thick core. Precise articulations, excellent projection in all registers, full sound and rich harmonics: these are the qualities of the “Traditional” reed, suitable for all playing styles. 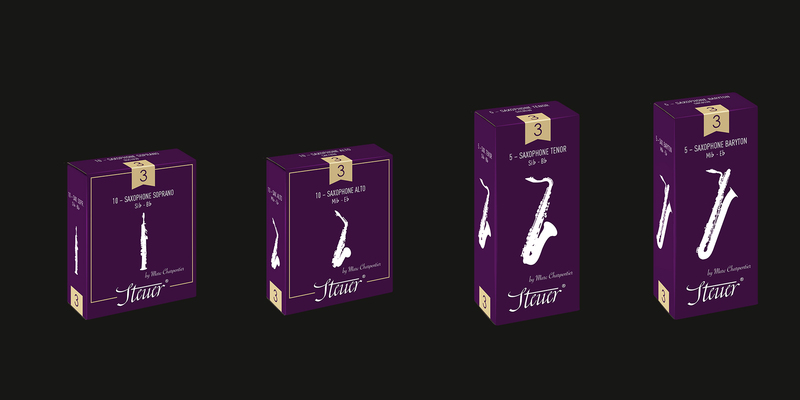 STEUER JAZZ reeds are designed around a reed core which is less pronounced but thicker at the tip, enabling it to vibrate over a wider palette. Steuer Jazz ranges have been specially developed to offer great ease of expression, giving free reign to creativity and advanced improvisational work. They are recommended for experienced musicians.